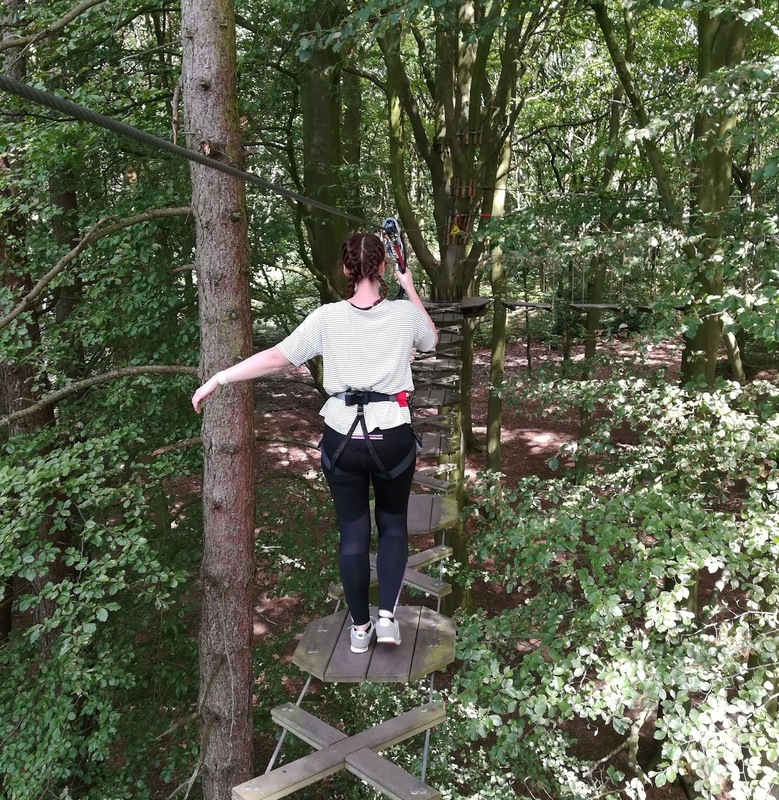 Considering I'm scared of my own shadow half the time, I'm actually pretty daring when it comes to adrenaline-surging activities, and last week I ticked another off my 'wild side' wishlist: Go Ape. Based in Rivington, a forest walk not too far from me, the Go Ape treetop course is something I'd seen many times before. Let me tell you now, it's a lot less scary from the ground! Naively I had imagined that I would be just walking around the course, firmly attached to an overhead cable at all times, and with an instructor by my side. Boy, was I in for a surprise. Our instructor, Luke, had us all read safety sheets and sign to confirm we understood them, then got us all kitted up and explained that we had a pulley and two carabiners on our harnesses. He then dropped the news that we were in charge of ensuring that we swapped these over one by one at each point, thus staying attached at all times. No instructor would be doing it for us, we would be (quite literally) flying solo! Luckily we were given a test run on terra firma, then a very small, low course, and tested on our knowledge so we were quickly confident and raring to go. 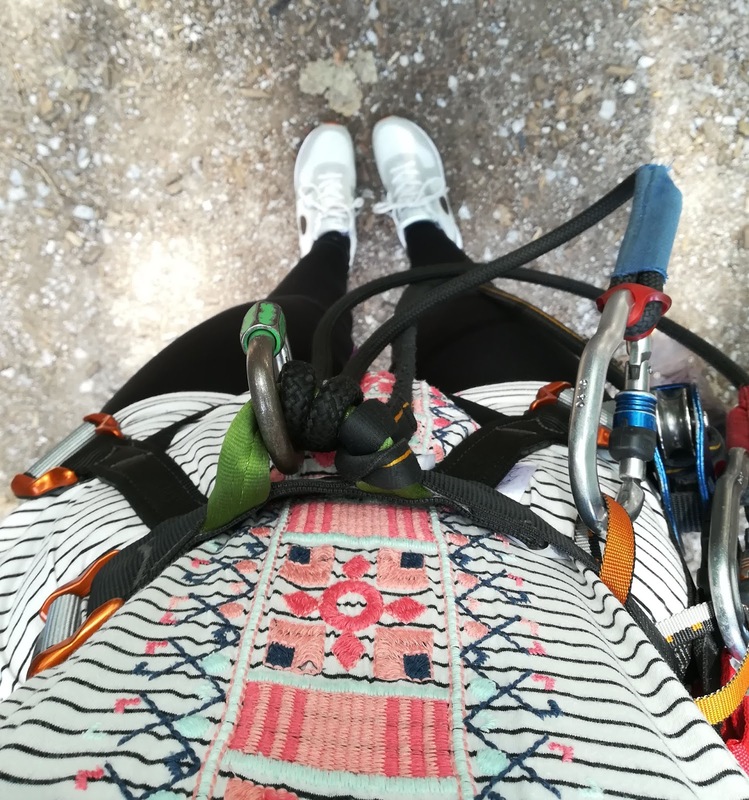 Fear kicked in as soon as I set foot on the first ladder, but as I clambered onto the platform and swapped my carabiners securely over, I was hit with a wave of relief and the realisation that I had done it. That very much set the tone for the whole course. The more fear I felt, the more pride I experienced when I didn't faint, vom, or fall, and believe me, there were some very testing moments. I warned you that I was naive, so it hadn't occurred to me that my body would be tested along with my mind, but I soon learned my lesson as I wrestled with a swinging net, swearing along the way. The nets, along with swinging steps which had me dangerously close to doing the splits, were the only part of the course I genuinely disliked. They even left me questioning whether I would go again. I have the upper body strength of a wet paper towel, so the nets in particular were super tough and I did feel the strain the next day, but looking back I'm still glad I did them. It reminded me to be grateful for my mobility, really pushed (and pulled) me, and rewarded me with the best part: zipping over the water. 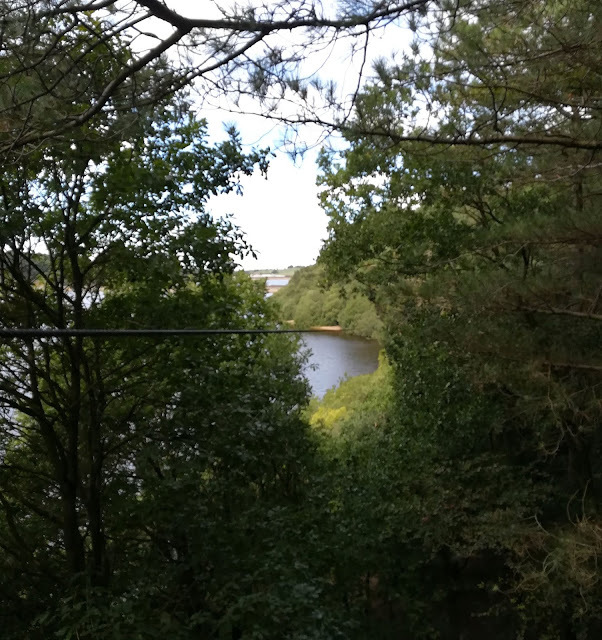 The reservoir at Rivington runs along the forest, so I've seen it plenty of times, but during Go Ape I got a completely different view as I flew right over. Oddly enough, I wasn't scared at all, I felt totally free and exhilarated as the wind blew through my hair and the water sparkled below. It was breathtaking. The course had four more zipwires, one at the end of each segment, and while they were all equally fun, zooming out in the open was the clear winner for me. As an anxious person, I very often feel that things are dangerous or even impossible, that I need someone to look after me, and that I'm just not capable, but for 2 hours every one of those worries was proven wrong. 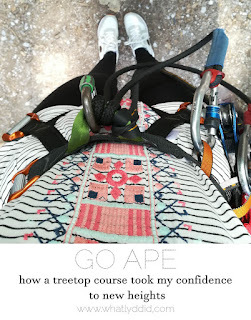 My boyfriend cheered me on and the instructors reassured us that they'd be there for emergencies, but it was up to me, myself and I to climb, jump, swing, and wobble my way around, and I did! 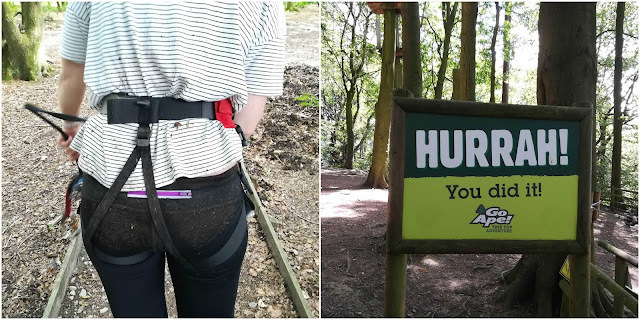 Yes, some parts were hard, but if the worst things to come from dangling on a rope for 2 hours were a few bruises and a very muddy bum, maybe the little things I fear aren't so dangerous after all. Would you give Go Ape a go? This post was NOT sponsored, but I did visit in exchange for posting content on my Instagram. I just loved it so much that I'm chatting about it here too.